Rebuilding a well-built machine tool is a cost effective ways to restore productivity to your manufacturing process. A typical machine tool can be restored to original OEM performance criteria for about one fourth to one third the cost of an equivalent new machine. 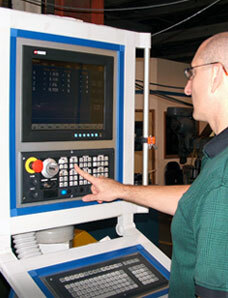 MPE Machine Tool, Inc. can provide a turnkey rebuild for your machine tool. We offer complete mechanical and electrical services for a fully integrated project approach. MPE Electrical Rebuild Services include CNC Control and PLC programming services, On-Site Troubleshooting of all electrical systems, Servo and Spindle Motor Service, Motor Drive Service and Replacement, Scale Service and Replacement, Down-Wire and Re-Wire for Machine Moves and Replacement parts for all major brands including Siemens, Fanuc, NUM, Heidenhain, Allen Bradley, and many more. MPE provides complete machine tool mechanical rebuild services including troubleshooting, machine tool guide way grinding, scraping and fitting to achieve original OEM specifications. MPE also provides mechanical services for hydraulic systems, lube systems, OEM gears, ball screws, ACME screws and nuts and essentially all aspects of your machine. MPE Machine Tool, Inc. Laser Services can help to reduce scrap and keep your machine tool in spec. Using Hamar lasers for geometry and Renishaw Laser Interferometers for distance calibration, MPE can put accuracy back into your machine tool. Also included are spare parts lists, OEM documentation, machine operator notes, drive parameter lists and PLC Ladder. Address: MPE Machine Tool, Inc.
and supplier of many automation motor controls and products.